Try all the features for 30 days for free! -You can try both EX (full features) and PRO (standard). 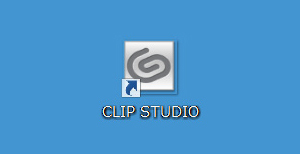 -A free CLIP STUDIO account is required to complete the registration. 5. You can use all the features of the software. Once you register a CLIP STUDIO account and the trial version, you will be able to save your data and use all features for free for 30 days. If you complete the trial registration for the trial version, you can use the full-featured version for 30 days without any limitations. If you do not complete the trial registration for the trial version or if the trial period expires, the limitations below will be applied. “Save” and “Save as” and "Save Duplicate" are disabled. The export function is disabled. The “Batch import” function is disabled. “Print” and “Print settings” are disabled. “Copy”, “Cut” and “Paste” are disabled. Some file object functions cannot be used such as "Convert layer to file object" and "Paste as file object". Filter plugins that users create will be disabled.